Nothing can boost your run of the mill HDMI TV’s functionality and derived value more than Amazon Fire Tv. Not only do you gain access to tons of media content like movies and tv shows, but you can also compile playlists, use apps, and play games. As if this is not enough, there are more than you can do to boost your Fire TV’s functionality and usability. Let’s take a look at some of the things that you can do to get more from your Fire TV. Before you can enhance your Fire TV experience, it may be important to take a look at the two Fire TV streaming devices. The Fire TV Box is more expensive, but it is much more powerful. When you buy the Fire TV Box, you get access to 4K streaming and more games. The Fire TV Stick does not fall short in terms of streaming quality, but if you haven’t bought a Fire TV yet and you’d like to make the most of the Fire TV’s gaming features, you’d be better off with the Fire TV Box. Although you receive a Fire TV remote to enhance functionality and navigation, it may not provide you with the best gaming experience. If you like console-style games, you may want to consider getting the Fire TV gamepad. This will make gameplay much easier and will also boost your access to more titles since some of the titles won’t work without a gamepad. Kodi is an online media center that allows you access to high-end add-ons with large content libraries. These add-ons are mostly free, which means you can get access to top-notch content without the subscription fees. This tutorial walks you through installing Kodi on your Fire TV. Installation is easy and completely legal. 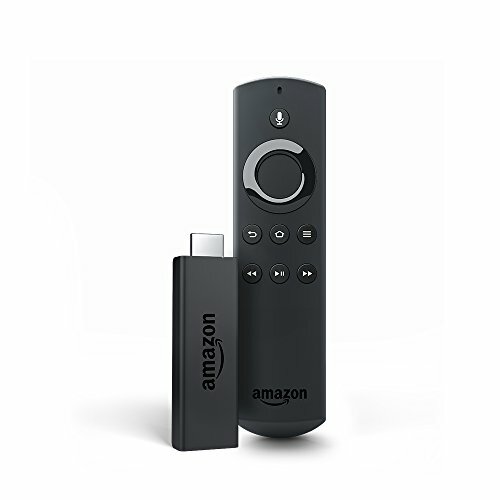 If you have one of the earlier Fire TV Sticks, you can add a separate voice control to increase navigation and search functions. There are many high-quality voice remotes available online with excellent design and ergonomic features. Adding Amazon’s smart assistant to the equation can increase your Fire TV’s ease of use and functionality tremendously. This will allow you do get weather, news, and sports updates y making use of voice prompts. As time goes by, you may even be able to connect your home fixtures and appliances, turning your Fire TV into a dashboard for controlling all electronics and technology in your home. If the Fire TV App library is too limited for you or if you bought the Fire TV Stick, you can install Android application packages to your Fire TV from your phone. Simply go to Settings > System > Developer Options and enable ADB Debugging and Apps from Unknown Sources. This means that you have access to most Android apps which will increase your Fire TV’s versatility and functionality completely. When loading larger apps, remember to set your phone’s settings so that it won’t lock within 10 or 15 minutes and close the app.